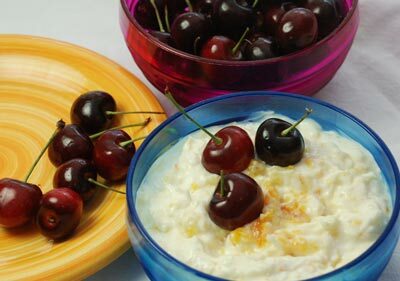 A delicious dip to serve with fresh cherries. Combine ingredients and chill. Serve with fresh cherries. -Sweet cherries are low in sodium as well as calories, and are a good source of fiber and Vitamin C.
-There are only 50 calories in 10 cherries.